BEIJING On a rare trip to Tibet, the U.S. ambassador to China has met with residents and officials and urged authorities to allow foreigners to travel more freely in the tightly controlled region, the embassy said Thursday. Gary Locke's three-day local government-organized trip in and around the region's capital, Lhasa, with members of his family and embassy staff ends Friday. U.S. Embassy deputy spokesman Justin Higgins said it was the first time Chinese authorities had approved an embassy request to visit Tibet since September 2010. The embassy said that in his meetings, Locke lobbied for opening access to Tibet to foreign diplomats, journalists and tourists and stressed the "importance of preserving the Tibetan people's cultural heritage, including its unique linguistic, religious and cultural traditions." China restricts journalists' access to Tibetan areas of western China and to Tibet itself. Foreign tourists must apply for special permits to visit Tibet, and Chinese authorities periodically close the region to foreigners, usually during periods of unrest. 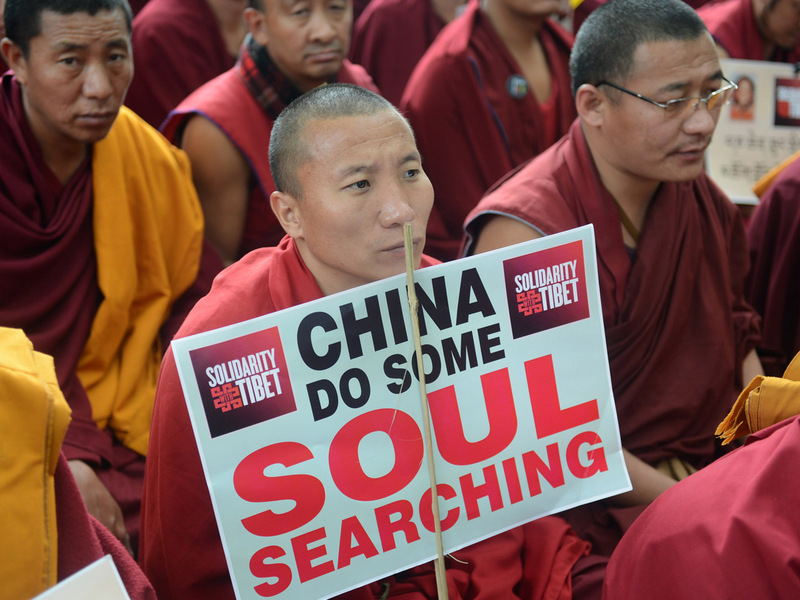 More than 100 Tibetans have set themselves on fire since 2011 to protest Chinese policies in the region and call for the return of the Dalai Lama, their beloved spiritual leader, from exile. "We remain concerned by the deteriorating human rights situation in Tibetan areas, including the tragic self-immolations," Higgins said. The U.S. urges Beijing to "engage in substantive dialogue with the Dalai Lama or his representatives without preconditions," he said. Human Rights Watch said in a report released Thursday that since 2006, the Chinese government has relocated more than 2 million Tibetans or placed them in government-built homes, often without consulting or adequately compensating them. "Tibetans have no say in the design of polices that are radically altering their way of life, and  in an already highly repressive context  no ways to challenge them," the group's China director, Sophie Richardson, said in a statement. China's Foreign Ministry dismissed the report, calling the rights group prejudiced against Beijing. "Great achievements have been made in Tibet politically, socially and economically in recent years. That is an undeniable fact," spokeswoman Hua Chunying said at a regular briefing.